ZapStore promotional offer, now they are giving free Rs.10 paytm cash for referring your friends and family. No app download is required. 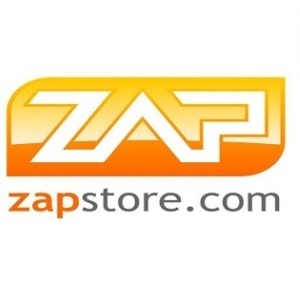 Zapstore incentivizes users to share eCommerce products with one’s friends thru existing social networks or using Zapshare. For instance, you will get products recommendations from your friends online and if you choose to buy the product, both you and your friend get additional discounts. We display products from leading eCommerce website.Users can easily share products to their friends either on Facebook, zapshare or whatsapp.Once user shares a product with a friend, the friends gets notified .If the friend likes the product that has been recommended to him and goes ahead and buys the product, both him and the friend who referred the product to him will get additional cashback.Users can also use this website as a normal cashback website. Share great products easily with friends on existing social networks and show them you care. Now enter all required details and on next page, verify your number. Note : Use same number for verification which is registered with Paytm account. After successful verification, goto My Account from top right corner tab and then select “Refer Friends”. Now note down your referral link & earn Rs.10 Paytm cash per referral. You can also earn more Paytm cash by sharing product on Facebook. Paytm cash will be credited in your Paytm account within 24 hours.